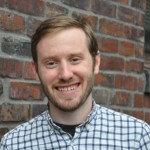 Article Note: The Urbanist is publishing a series of interviews with a selection of 2015 Seattle City Council candidates. In June, we will release our endorsements. Kshama Sawant is the incumbent candidate running in District 3. She has a PhD in economics from North Carolina State University and was a professor at Seattle Central Community College before running for council. She was elected in 2013, running a campaign largely focused on raising the minimum wage. She was a key sponsor of the legislation ultimately increasing Seattle’s minimum wage to $15 per hour. She serves on a number of committees, including the Housing Affordability, Human Services and Economic Resiliency Committee. What would you do to make housing affordable for everyone in Seattle? Sawant began her answer by emphasizing that the solution must be at the scale of the problem and the problem is overwhelming. From that framing, she went on to state specific support for a number of policies. She would like to see the maximum linkage fee implemented but acknowledged this would not be enough to solve the affordability crisis. An even more powerful tool would be using the city’s bonding capacity in order to build high quality, affordable units. Beyond efforts to increase affordable housing revenue, she emphasized renter protections. She thinks the city needs a strong tenant’s bill of rights and rent control. She believes rent control ‘has been a lifeline’ for people in many places and at the end of the interview she passed along a literature review of the policy. The review indicated that severe zoning restrictions caused most of the problems attributed to rent control. Describing her strategy on rent control, she said that the city council members should take the lead on pressuring Olympia. Her focus on this problem is due to the urgency felt by regular people facing unaffordable housing costs. How does planning, transit policy, and development affect racial, social, and economic inequalities in our city? What policies and efforts can we make to combat these inequalities? Sawant described housing and transit as ‘inextricably linked,’ we can’t talk about one without the other. She blamed the current housing crisis for pushing people further and further out of the city, while most of the jobs remained in the center of the city. This problem creates a dynamic that requires people to commute long distances. Since Seattle doesn’t yet have a mass transit system, everyone experiences gridlock. During multiple points in the interview Sawant described herself as a strong supporter of mass transit and believes it will serve a critical role solving both housing and transportation problems. Overall these problems are exacerbated by rents that rise faster than wages and things are bad enough that even middle class people are being affected. With that said, it’s clear these issues are not class neutral. The most affected are marginalized communities. People of color and LGBT communities face discrimination and obstacles their entire life that are further compounded by housing and transportation problems. Seattle’s Vision Zero plan aims to eliminate traffic deaths and serious injuries by 2030. Do you think that this target is achievable? Why or why not? After praising the policy, she stepped back and spoke more personally. She described an important part of her childhood, telling us about when her father was killed by a drunk driver. It was very clear this traffic violence was devastating for her family. How best should the city accommodate the next 20 years of growth? Sawant began this answer by noting the growth rate of Seattle exceeds that of the US. She said, “There is no question we need to – the city as a whole–must transform itself to meet those needs.” The focus of this transformation needs to be on housing and transit. She sees buses as an extremely efficient mode for quickly achieving much needed transit service but she also fully supports light rail. While a city-wide expansion of light rail is necessary, it’s primary obstacles are political. She asked, “how can we make mass transit a viable option” for regular people with regular lives and provided the example of a single mother shepherding kids while running errands during all times of the day. Her solution to this problem would involve taxing corporations to build out most of the light rail system. Then she would ensure the bus system quickly and frequently served neighborhoods around rail stations. When asked about the four options on the comprehensive plan she said she was not yet ready to endorse a specific option but noted she wanted to see growth around transit. This growth could also solve some the city’s transit need by making neighborhoods more walkable. What is the most important transportation project in your district? Sawant provided a concise answer to this question, quickly pointing to the Capitol Hill light rail station. She thinks it’s definitely the most important transportation project in her district and expressed excitement that it’s nearing completion. Read our interviews with other District 3 candidates, Rod Hearne, Pamela Banks and Morgan Beach.